This arrangement features iris and delphinium gerbera daises roses cushions carnations and wax flower. Arrives in a four inch cube vase and can be upgraded to larger sizes. 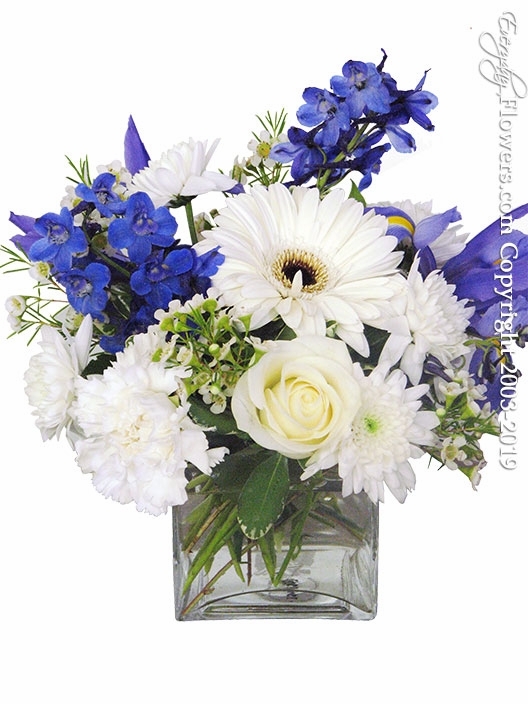 Send this lush blue and white arrangement for any occasion with same day delivery available in Orange County California. Comes in a 4 inch glass vase and measures 9 inch tall X 9 inches wide.